When you strengthen a growing tomato plant before setting outside in the garden, you have a much greater chance for healthy results. Studies at Cornell University, the University of Georgia, and the University of Torino (Italy) show what tomato growers have known for years: motion helps tomatoes grow stronger, thicker stems. The studies used mechanical brushing to test and measure results. Motion helps promote cell division and raised chlorophyll levels. Brushing plants helps them grow stronger, stockier (though shorter), and more able to withstand transplanting into the garden. 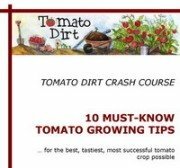 You can help strengthen a growing tomato plant by making it move! There are two ways you can give your tomatoes a workout: brush them and blow air on them. Begin brushing seedlings when they are 2-3 inches high. Pass your hand lightly over the seedlings several times a day. Get your tomatoes to move in the breeze. Aim a slow-blowing fan towards your seedlings 2 or 3 times a day, starting with 5 minutes at a time. Gradually increase breezes to 30 minutes a session. 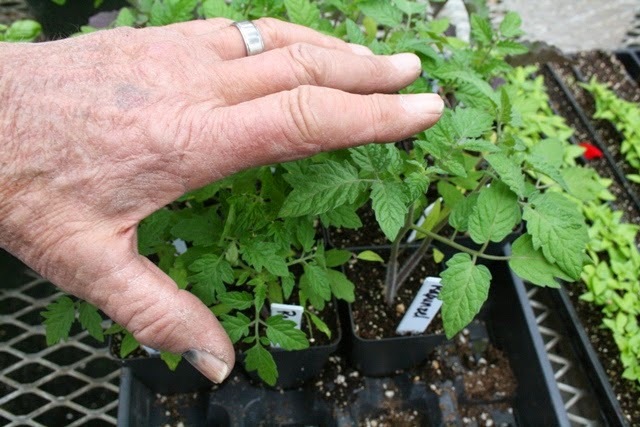 Wash your hands before you brush them across tomato seedlings, especially if you’re a smoker. It is possible to transfer the tobacco mosaic virus through touch. Wash your hands after brushing, too. Some people are mildly allergic to tomato leaves and you may be one of them.